Designed for use in an old telephone box, this cabinet meets the required specifications to house a life-saving defibrillator in this particular setting. Each product by AED Armor has been manufactured to the highest quality, giving you peace of mind that your device will be protected and ready-to-use in an emergency. 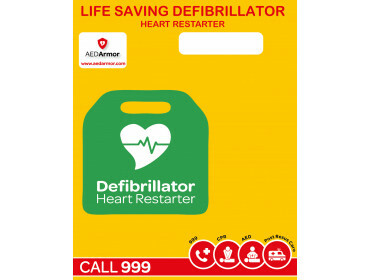 Its bold design will ensure that an AED can be found and retrieved quickly in the event of a cardiac arrest emergency. The electrics in this cabinet are compliant to BS7671-416/417 and can be attached to an existing power supply in a BT telephone box.